3 bedroom, 2 1/2 half bathrooms, sleeps 8 in beds. Works for two couples and famliy/friends vacationing together. Tastefully furnished, decent sheets, plates and glassware. Easy walk to the lake and bike ride to Tahoe City. Washer dryer, kitchen with large granite bar/buffet. If you like what you see the price is hard to match! Sorry, We have sold the condo. It was a great experience renovating and owning it! I am leaving this page up as a reference to other Lake Forest Glen Owners, to get ideas for an Old Tahoe type renovation they could do too their unit. 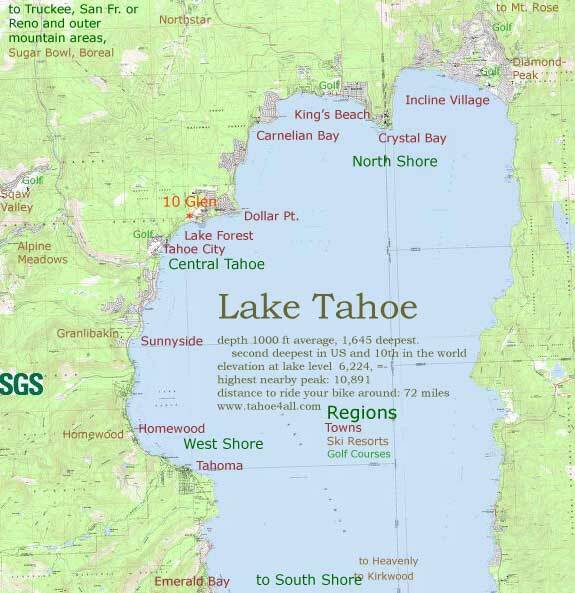 Lake Forest Glen, is located 1 1/2 miles past the Safeway mall in Tahoe city. Our condo is a 5 minute walk from two large public parks and Lake Tahoe beaches. A fishing pier, a public boat lauch, a soccer field and play structure are at a third park half a mile from the complex. Lake forest Glenn is just down the hill from one of Tahoe's best Nordic skiing access points. That cross-country ski area serves as excellent warmer weather access to Tahoe mountain bike trails and back country hiking. 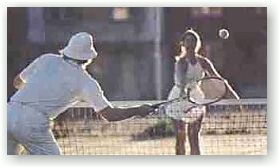 The Lake forest Complex boasts 4 tennis courts two swimming pools (one designated for children and the other and the hot tub are for adults only). 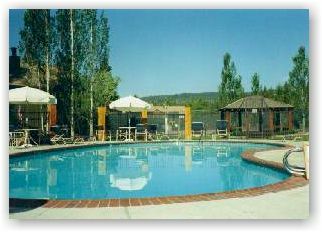 Lake Forest Glen's open, well maintained grounds and its immediate access to some of lake Tahoes best recreation areas make the complex the ideal all seasons Lake Tahoe Location. We have minimum rental periods. na=not available. Our normal check out time is 10:00 am. Prices include use of towels, and linens with cleaning done once upon exit. An additional 10% local lodging tax will be collected on top of these rates. All prices and terms subject to change at any time. We're not afraid of competitors, if you can find a better value for your needs, book it!